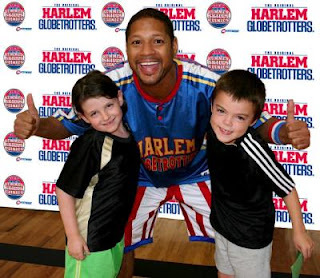 Being Frugal and Making It Work: Harlem Globetrotter Summer Skills Clinics - Promo Code Save $10! Save $10 on registration! Enter the Coupon Code USFAMILY on the cart page after completing your registration. Disclaimer: I will received complimentary tickets to see the Harlem Globetrotters during their 2014 season. Regardless, I only recommend products or services I use personally and/or believe will be a good fit for my readers. The views and opinions expressed on this blog are purely my own. Results may vary. No monetary compensation was received.